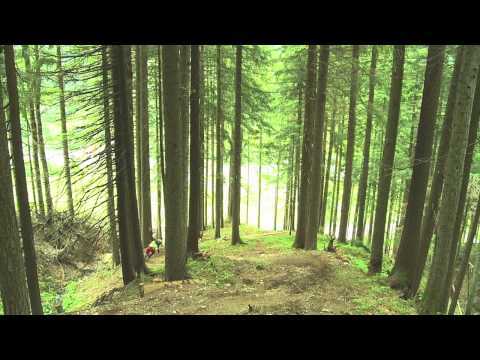 Leogang Bikepark’s brand new freeride trail, the Bongo Bongo, is now open to the public. If you want to capture our bike park action on tape, you can also rent a helmet cam at the Bike Shop from now on. 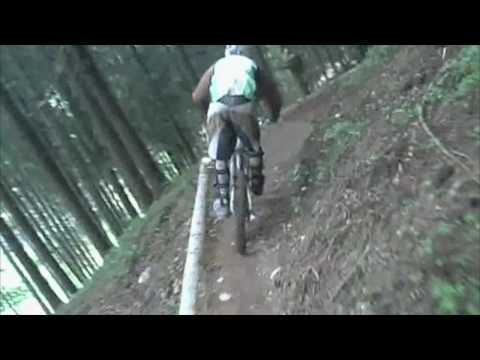 Finally it’s done: Everybody can shred Bikepark Leogang’s Bongo Bongo trail. The trail splits up from the well-known “Flying Gangster” freeride trail. Right before the big, Kona bridge, which is located half way down the existing freeride trail, you have to make a sharp turn to the left to enter the Bongo Bongo. The masters of course construction, the „HU Cooperation“, did a great job. The Bongo Bongo looks a bit like a “small BC” trail, featuring a whole bunch of northshore elements, bridges and dirt berms. All located in Leogang’s forest. It’s your personal guarantee to enjoy a lot of flow including small jumps and gaps. The Bongo Bongo is not that technically challenging, but you should be a “little more experienced” rider. Absolute beginners might have some problems with the new trail – especially at wet conditions. To get a first impression, what the trail looks like, please watch the first movie below. The short clip shows about 80 percent of the Bongo Bongo and was filmed, when it was still under construction. What you don’t see in the video: a northshore corkscrew obstacle including a small river gap that marks the end of the trail. To get some more impressions about the Bikepark Leogang in general, please watch the second video. This footage was taken during the Opening Weekend and includes small segments of the Bongo Bongo, the Flying Gangster and the Speedster (DH-track). If you can’t wait to ride all these trails and at the same time want to share your good times in the bike park, feel free to rent a ContourHD or POV.1.5 helmet cam at the shop located next to the valley gondola station. A special CamTerminal is waiting for you to burn your runs on a DVD after you filmed each run with the helmet cam. The fees are 25 Euros for two hours and 50 Euros for the whole day. Not that much for having a unique souvenir to share with the whole world online later. For any further information please check out the Bikepark Leogang website: www.bikepark-leogang.com.